Plus500 is a high quality CFD brokerage solution for Europe and several non-European countries around the world. This brokerage solution is well regulated by financial bodies in all markets in which it has a presence: Plus500UK Ltd authorized & regulated by the FCA (# 509909). Plus500CY Ltd authorized & regulated by CySEC (# 250/14). Plus500SG Pte Ltd, licensed by the MAS (# CMS100648-1) and IE Singapore (#P LUS/CBL/2018). Plus500AU Pty Ltd (ACN 153301681), licensed by: ASIC in Australia, AFSL # 417727, FMA in New Zealand, FSP # 486026; Authorised Financial Services Provider in South Africa, FSP # 47546. As a platform, Plus500 is pretty easy to understand and operate, and users tend to speak well of the platform more often than they complain. Plus500 has been around for many years, but they’ve only recently started offering a growing list of cryptocurrency CFDs, as their users have demanded! We think that CFDs may be the easiest way to invest in cryptocurrency, though we’re not sure that Plus500 is the best CFD source at this time. More on this later. We’ll get into the details in the Plus500 review to come, as well as offer a simple alternative CFD solution (eToro) which new CFD traders may find easier to practice. 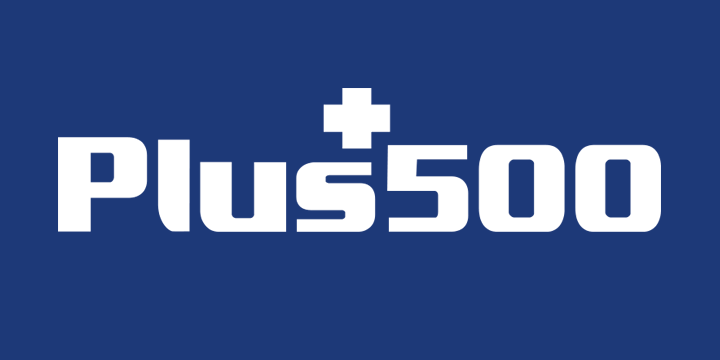 Plus500 is a CFD service headquartered in Israel, with subsidiaries in the UK, Australia, Singapore and Cyprus. Plus500 is not available to citizens of the United States of America. Plus500 is a good example of a CFD brokerage service. The company uses its own proprietary trading software, unlike many other CFD sources which simply white label software from other sources. These other brokers offer little to no value to the end user, and simply skim off the top. Plus500 sets itself apart by offering its own unique take on CFD trading, and it has earned itself a large number of fans in the process. Plus 500 allows its users to trade CFD tethered to several different asset and market types. These include indices, markets, cryptocurrencies, Forex, stocks, and more. All of a user’s trading can be done in a single trading screen, as pictured above. The Plus500 app provides the same powerful experience, without ever seeming cluttered or confusing. This isn’t simply a dynamic website – it’s a scratch made app that gives new flexibility to the larger platform. Most of our readers will be interested in Plus500 as a way to trade cryptocurrencies. In this regard, Plus500 is a solid but unremarkable solution. We’ll explain why in the sections to come. We’re fairly satisfied with Plus500’s brokerage service, especially as it pertains to cryptocurrency trading. But in almost every way, we’re more excited about what eToro offers its users. eToro is simply more widely available, easier to use, and features slightly more currency pairs than those offered by Plus500. eToro is well known for their first class trading interface. While you may wish to go with Plus500 if you want to trade more asset classes than cryptocurrency, eToro’s approach to this problem is as intuitive as it gets. You’ll quickly be able to select the coins you want to trade, and then make the simple decisions that will hopefully result in big profits. eToro is also more widely available than Plus500. eToro serves more than 60 countries at present, and is constantly expanding its global reach. Significantly, it’s one of the first cryptocurrency CFD solutions to become available to traders in the United States (Plus500 doesn’t work in America), and it’s certainly the biggest and most well known. Plus500 is a reliable CFD solution, especially if you’re interested in a broad range of assets in a variety of classes. But if you want the easiest platform to use, or the one most likely to be available in your era, go with eToro every time. Whether you choose eToro, Plus500, or a competitor for cryptocurrency CFD services, it’s important to understand the advantages afforded to CFD traders, compared to those who choose investment based on traditional ownership models. “CFD” stands for “Contract For Difference”. The contract is related to a specific asset, like the cryptocurrency NEO for example. Let’s say you buy your CFD at 9 AM on a Tuesday. NEO costs $50 each at that time, and you decide to “buy” 10 for $500. With your CFD, you don’t actually own 10 NEO. Instead, you own the right to profit off of the price change of 10 real world NEO. What this means is that if the price of NEO goes up to $60 on the Thursday after you bought your NEO, you can choose to end your contract, and take the $100 profit associated with those coins. If you have purchased 10 NEO in the real world, you could have saved them and sold them for the same profit. But this would have introduced a number of challenges, especially for beginners. When you buy cryptocurrency for real, you’re responsible for transferring it, storing it, and generally keeping it safe. You can lose it by sending it to the wrong address. You can have it stolen by using a vulnerable wallet. And you can lock your crypto up forever by losing or forgetting a complicated password. The CFD model saves you all of this trouble, so we recommend it to new users. With a CFD, the broker (Plus500 or eToro) keeps track of all of the bookkeeping. You don’t have to worry about real digital assets that can be lost of stolen. All you have to do is wait for the best opportunity to end your contract. Sometimes the coins tied to your contract will lose value, and if you ended your contract while the price was low, your losses would be removed from your deposit. CFDs couldn’t be more convenient, and leveraging opportunities give users the chance to multiply profits on an impressive scale. Of course, CFDs are also risky. They’re an investment class all their own, and like other investments, the possibility for loss should be a consideration. However, if you are able to make good investments through traditional ownership broker models, you can do so with CFDs as well. nothing is guaranteed in investment – especially in crypto! – but CFD offers perhaps the most convenient way to put your money into this exciting, turbulent, and revolutionary asset class. Signing up with Plus500 is as easy as linking a bank account, providing a working email, and uploading personal identifying documents as requested by Plus500 for the region where you live. Because Plus500 has a patchwork regulatory obligation, resulting for operating in many jurisdictions, there is no uniform signup process for all users in all places. Fortunately, we find that signing up with Plus500, as a process, is easy to understand and complete. If you want to try Plus500 before you make a first deposit, you can use the Plus500 demo account. With this account type, you’ll have the full range of trading tools at your disposal, but with play money instead of real cash. This way you can get to know the platform, see how your trading decisions would pan out in real life, and then decide if Plus500 is right for you and your money. If you demo the platform and decide that this is a broker for you, all you have to do is make an initial deposit of at least $200 AUD to your Plus500 account. Once the funds arrive, you can begin trading in any asset class offered by the platform, or just get straight into crypto trading as many of our readers do. One thing we really like about Plus500 is how organized all of their features are – so much so that you can do all of your trading, however complex, on a single screen. As you can see below, Plus500 packs a lot of complexity into a single user interface, without ever making it seem cluttered or needlessly confusing. Of course, new users will still have to acquaint themselves with the ins and outs of this UI, but it’s a fairly elegant solution that we admire. Without going into too much detail, users will simply click on the asset class they’re interested in trading within, on the left side of the screen. Once this is clicked, the full range of trading pairs will be listed to the right of this, with “Buy” and “Sell” options by each. When selected, the recent price action of an individual pair will appear at the bottom of the screen, so the user can get a sense of the value they’re investing in relative to the asset’s other recent market values. All trading history and other actions can be accessed on the leftmost column of the screen, including withdrawals, open positions, orders, and closed positions. Even if you’re new to trading CFD (or any other investment form for that matter! ), we think that you’ll quickly get the hang of trading with Plus500. CFDs are a bit easier to learn through experience than explanation, and Plus500 really facilitates this process, especially with their free demo account option. We’ve already described linking your bank account with Plus500 and making a deposit by wire transfer. This process takes around 5 business days to complete, so we generally don’t recommend it. Who likes turning over banking information unnecessarily, anyway? Instead, we would recommend using your credit card to make deposits. This will have your deposit completed in minutes, not days. To withdraw, you’ll have to complete your account verification, with all of the necessary identifying documents uploaded. These funds will be delivered to your bank account via wire transfer, and Plus500 will be in touch about each transfer in question, emailing you the instructions you need to complete the transaction with the greatest ease and efficiency. Like any good CFD or investment broker, Plus500 has customer support available in multiple different language, each covering languages most commonly spoken in the broker’s countries of operation. Customer support is always conducted by chat and email. And though these methods are usually fairly responsive, it’s a shame that the company doesn’t also offer phone support. After all, what’s a user to do if their computer crashes, and they need to contact Plus500? This is the biggest downside we’ve found with Plus500 customer support. Of course no customer support network is perfect, and users are likely to observe quality differences depending on where on the planet they are located, but in general we think Plus500 is par for the course when it comes to customer service – not great but not bad. We like Plus500 for a number of reasons, but in general we think that eToro will offer the same features with greater convenience and accessibility. You can see our comparison above. Analyzed according to its own merits and flaws, we think that Plus500 is a pretty good way to buy and sell CFDs, especially for cryptocurrencies. We like that users have the ability to take part in more diverse asset classes as well, from a single trading screen. If any fees apply (for example for special overnight services or inactivity), Plus500 takes them out of the user’s balance during withdrawal. We don’t like this characteristic as it makes it impossible for a user to budget, or shop around for the best rates. Still, we tend to find Plus500 affordable in practice, and deposits and withdrawals are accomplished with ease. We feel that our money is secure in Plus500, as this is a well regulated broker within multiple jurisdictions. Plus500 is intuitive to use, and may even be appropriate for some newer users who are willing to deal with a moderate learning curve. Fortunately, their demo account gives these users all the runway they need before having to risk actual cash. Unfortunately, Plus500 doesn’t offer these service in enough parts of the world to stand out from the competition. Alternative brokers like eToro are unquestionably more widely available, and have penetrated into the all important United States market. Still, Plus500 is a platform with many virtues, and we think it provides a good take on the CFD method of investment for cryptocurrencies.